The romantic Rosedale house is a classic exclusive wedding venue with a unique and contemporary twist – this elegant country house is not only home to some seriously stylish themed rooms, it also has its own private nightclub and luxurious piano bar. 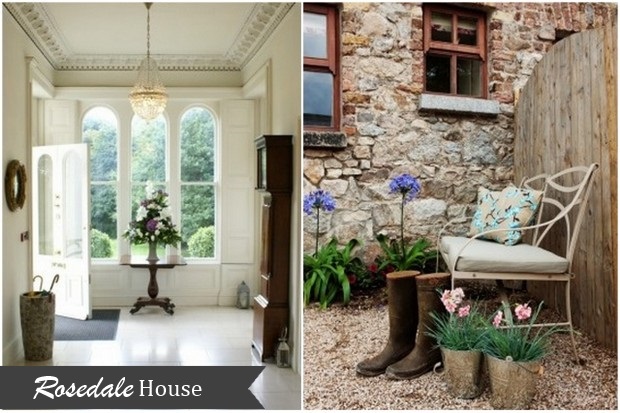 The romantic, private Rosedale is neatly tucked away in south county Dublin, overlooking the Irish Sea. Guests will no doubt be bowled over by the rustic countryside feel which is brilliantly contrasted by the elegant, modern interiors of this historical house. 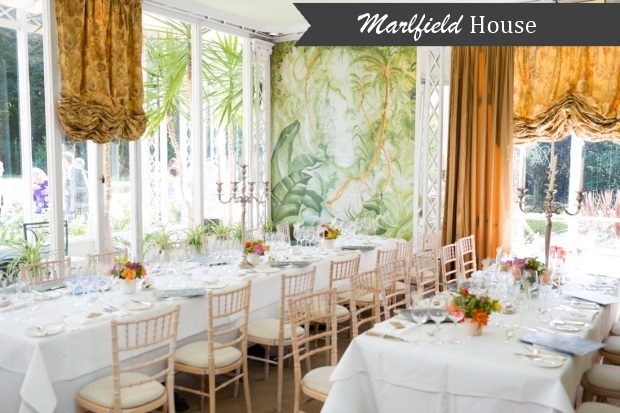 Although the venue is ideal for an intimate celebration, it can cater for a larger event with a purpose built marquee set in their walled garden. Treat your guests to cocktails in the piano bar the night before the big day, and a hog roast in the Rose garden the day after, or create your own bespoke weekend with the help of the wedding team. Whatever you chose, it will be truly unforgettable. 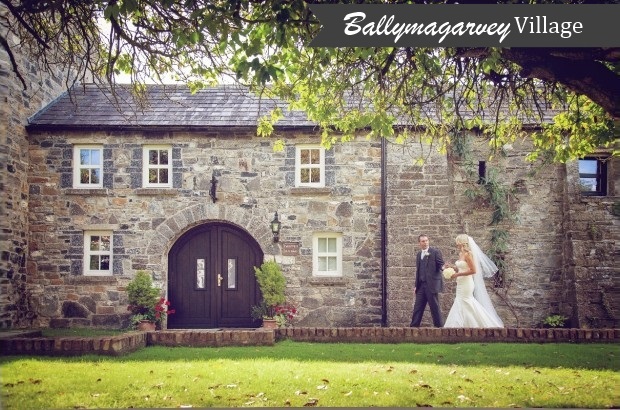 Ballymagarvey Village needs to be on the list of every couple looking for a stylish and serene wedding venue that they can call their own for the entirety of their wedding celebration. This stunning 18th Century Flaxmill Village nestled away in County Meath is simply a haven of peace and tranquillity, and ideal for a couple who wants complete privacy from the moment they arrive. The meticulously restored country house is the focal point of this charming setting and has nine luxurious yet homely rooms for the bridal party to retire too when the sun comes up. Over 100 acres of parkland surround the main house, allowing for an abundance of photo opportunities. Guests can have their pick of seven beautifully appointed courtyard cottages to lay their head for the night. If you want just a taste of how quaint and unique this venue is, have a look at their brilliant virtual tour. The mission of everyone at Boyne Hill House Estate is simple – to make you feel at home for the duration of your wedding celebrations. This task is achieved a whole host of ways, but chiefly through the friendly, professional wedding team who work tirelessly around the clock to make your wedding dreams come through and of course the venue itself, which offers a warm, elegant setting for you and your guests to relax in privacy throughout your time there. 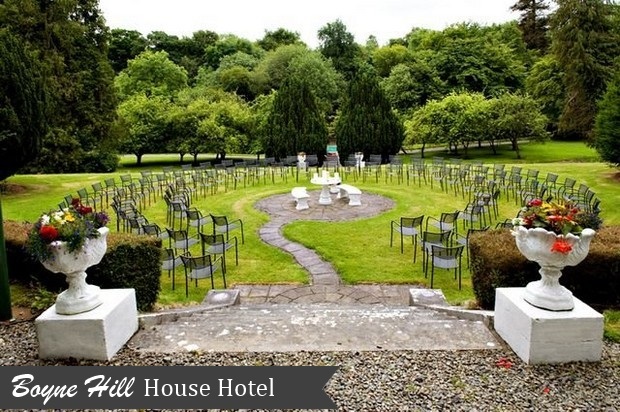 Boyne Hill House is set on 35 acres of beautiful rugged countryside and on the banks of the river Boyne, and the mansion house can cater for up to 160 guests and can also hold civil ceremonies. Check out Boyne Hill House Estate’s reviews here to see what their couples had to say about them. The unique, imtimate and romantic Brooklodge and Macreddin Village is a must-see for couples looking for a real venue with a difference. 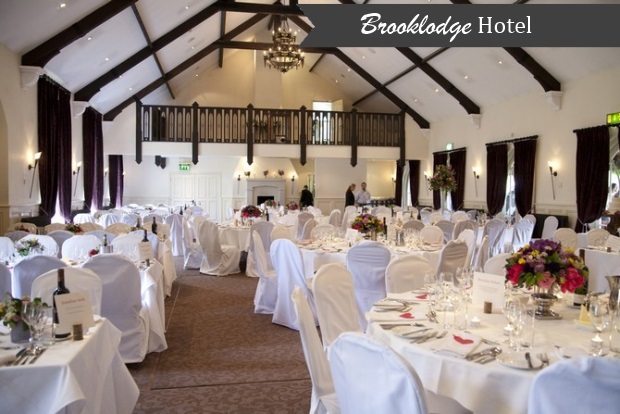 Brooklodge is nestled in a sheltered Wicklow Valley, and has all the trappings of a secluded countryside venue, but is easily accessible at just an hour’s drive from Dublin. Brookhall House lies at the heart of the village and offers an array of stunning settings for every aspect of the wedding celebration. Couples can choose to exchange their vows in either MacCreddin hall, which is located just across the village green, or in the intimate chapel which is also on the grounds of BrookLodge. The grounds at Macreddin village are exclusively yours, and you are free to relax and unwind, knowing the entire BrookLodge team are always on hand to spoil you and your guests on one of the most special days of your life. To see how one couple’s day unfolded at Brooklodge, check out this beautiful real wedding by Konrad Kubic. 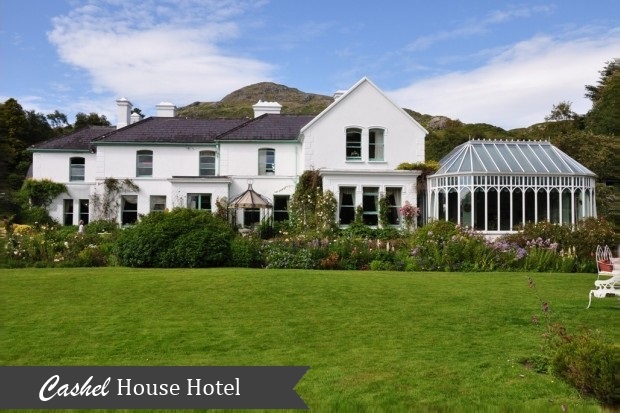 Set in the iconic town of Connemara, Co. Galway, Cashel House offers the ultimate romantic setting for a wedding celebration. This striking 19th century country house overlooks the magnificent Cashel Bay, and enjoys 50 acres of manicured gardens and woodland – a veritable paradise for wedding photographers! Cashel House offers 30 individually decorated bedrooms which are traditionally and warmly appointed with beautiful antiques and comfortable furnishings. 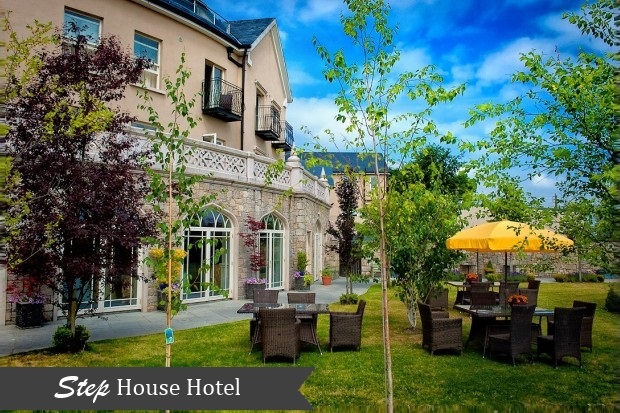 If you have your heart set on an intimate, relaxed wedding celebration in a setting with a real ‘wow’ factor, Cashel House Hotel may be the venue for you. 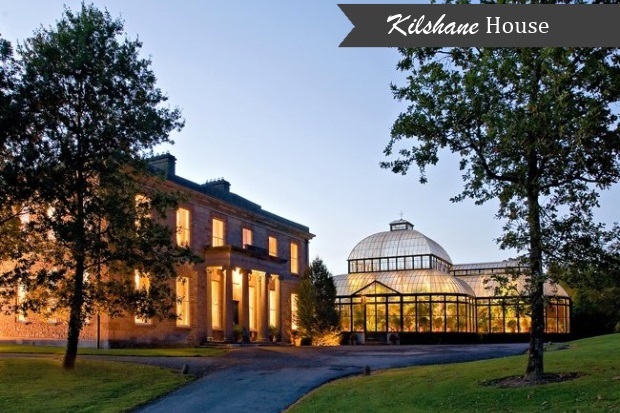 Kilshane House in the heart of County Tipperary is set on over 300 acres of private parkland. Built in 1822, Kilshane house holds 54 en-suite bedrooms which are of course exclusive to your wedding for as long as you wish to stay. Start your weekend of celebrations off with drinks and canapés in the Billiard Room, or hold a more formal dinner in Kilshane’s luxuriously appointed dining room. For the wedding day itself, couples are invited to exchange vows beneath the sky in the stunning conservatory before inviting guests to be pampered by the friendly and meticulous wedding staff in The Orangerie. Finally, a relaxing day-after BBQ on the lawn will finish off your celebrations in style. Kilshane has four excellent packages to choose from, however your wedding weekend can be as bespoke as you wish. A unique and idyllic setting, this magnificent mansion house set on 36 acres of lush green grounds is a perfect choice for couples looking for a peaceful and private setting to enjoy a chic and stress-free wedding celebration. The fairy-tale house is exquisitely appointed with open fires, authentic antiques, historic artworks and fresh floral arrangements to create a warm, dreamy atmosphere. Guests at larger weddings will feel right at home in the candle lit conservatory dining room which overlooks the parterre garden and meticulously manicured lawns, while those lucky enough to attend a more intimate celebration will enjoy the unique, elegant settings of the Print Room as they are treated to a sumptuous wedding meal. 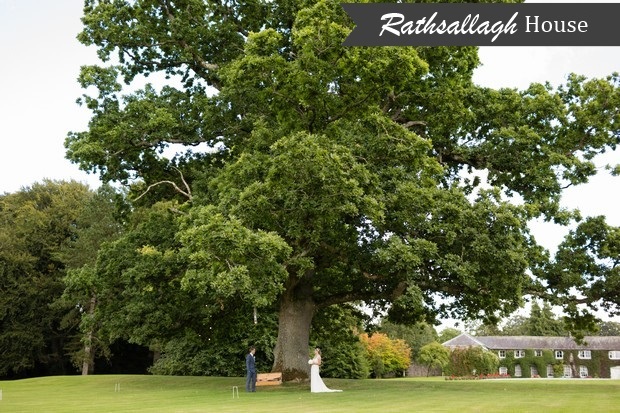 Rathsallagh House, built in the 17th Century, is a romantic, cosy and elegant country house set on 500 acres of beautifully manicured gardens and wild forests. Open log and turf fires, a luxurious dining room, ornate bedrooms and deluxe drawing rooms combine to create a relaxed and sumptuous setting that’s exclusively yours throughout your wedding celebration. The walled gardens and orangery is an ideal setting for your ceremony, where guests can take in their peaceful surroundings before being waited on by Rathsallagh’s dedicated, friendly and experienced team. 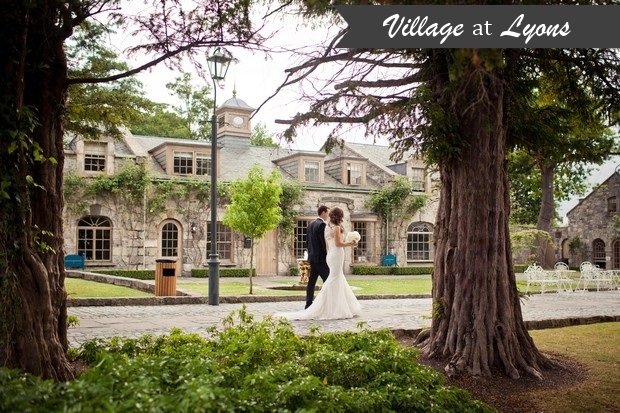 The enchanting Village at Lyons, located just outside Dublin is an awe-inspiring setting for a wedding celebration. Inside this historic little town lies 20 gorgeous guest suites, a cookery school, the Canal Cafe, Le Serre Restaurant and at its heart, the magnificent Mill. The elegant, romantic Mill houses wedding receptions, and feels all at once big and bright (helped by the double height ceilings and neutral interiors) and warm and intimate (thanks to the panelled walls and dramatic 17th century fireplace). Weddings at Lyons are bespoke and private – take a look at this exquisite real wedding by Michelle Prunty to get an idea of how magical this venue really is. The Step House Hotel, a four star family-run boutique hotel set in the village of Borris, Co. Carlow, has been specifically designed to host romantic, bespoke weddings. A real wow factor is achieved with lavishly crafted French arch doors which lead from the ballroom to the manicured lawns, with the striking Mount Leinstead and The Blackstairs Mountains in the distance. For an intimate wedding, couples can choose the Cellar Restaurant & Cocktail Bar, which caters for up to 60 guests. Step House prides itself on its exceptional cuisine and wines, which are at the heart of the ‘Step House experience’, and food is created in a classic French style using local, organic ingredients. 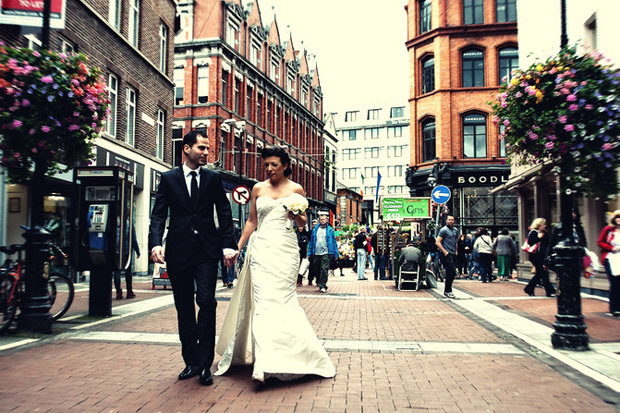 Traditional Irish hospitality awaits, as does a wedding celebration that will be remembered fondly by all who attend.